Constructed in the traditional way of the Pueblo Tribes. Made of hollowed-out logs with heavyweight rawhide heads and lacing. One (1) Beater is included. Sturdy and durable. 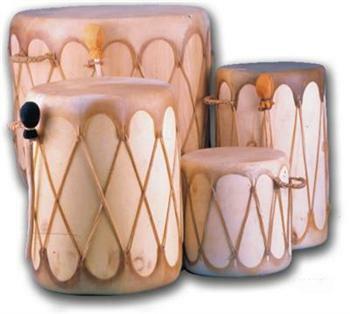 No two drums are alike and all will vary in depth and diameter slightly. NOTE: Larger sizes, as well as other styles, are available. Advise type and size desired, we will quote.